PRK, or Photorefractive Keratectomy, is a type of laser eye surgery used as an alternative to LASIK. It was once the most popular kind of refractive laser eye surgery, performed in many countries around the world since the 1980s. PRK involves using a laser to sculpt the outer lens of the eye, the cornea, which is responsible for 80% of the eye’s focusing power. This article on PRK laser eye surgery is written by Jackie Griffiths, a freelance journalist who writes health, medical, biological, and pharmaceutical articles for national and international journals, newsletters and web sites. 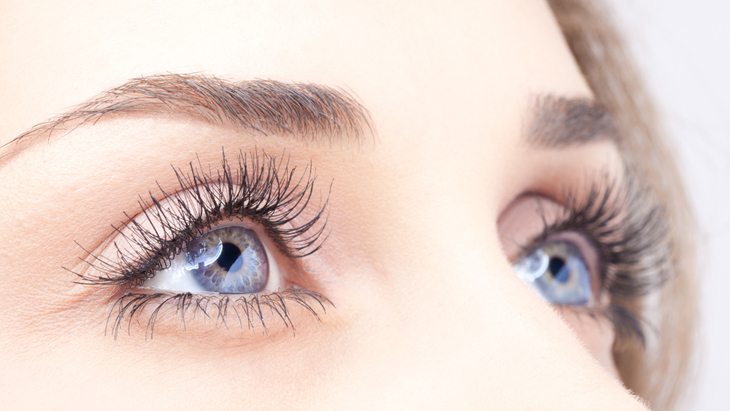 However, once LASIK was developed and proven as a technique, most eye surgeons switched to this method which provides certain healing benefits over PRK. Nonetheless, PRK still has its uses, and today it is the treatment of choice for people who can’t have LASIK due to existing conditions, such as corneal scarring. If you’re considering having PRK laser eye surgery it’s likely to be on the advice of your consultant, who has ruled out the LASIK procedure. With PRK, as with all laser eye surgery, you will attend the surgery as a day patient. Anaesthetic drops will be put into the eye and a lid speculum will be attached to the eyelids to gently hold them open throughout the procedure. This is generally not uncomfortable. A suction ring will keep your eyeball pressurised and prevent it from moving, so that the laser can do its precision work. Unlike LASIK (which involves cutting out a cornea flap) or LASEK (which involves softening and rolling a flap aside), PRK simply sculpts the cornea from the surface. All three techniques require an Excimer laser to reshape the cornea, but the advantage of PRK is that no cut is made, thereby maintaining the integrity and strength of the corneal dome. The Excimer laser works by sending computer-guided pulses of UV light into the eye, breaking down a microscopic amount of the cornea in a precisely controlled way. The process takes about 30 seconds; the higher your prescription, the longer it will take. During this time, you will hear the loud ticking noise of the laser, and possibly smell burning as the cornea is reshaped. Your vision will be somewhat blurry and dimmed because of the anaesthetic drops used, but there is no sensation or feeling of pain. Once complete, the surgeon will apply a protective contact lens for better healing and comfort, as well as anti-inflammatory and antibiotic eye drops. If you’re having both eyes treated on the same day you will be given a short rest before surgery begins on the other eye. Otherwise, you can leave the surgery almost immediately. You must not drive until your vision is fully restored, although you can go back to work within a day or two. The real benefit of PRK is that it doesn’t involve an incision of the cornea. This eliminates certain risks associated with LASIK, such as the use of a microkeratome blade and the accurate repositioning of the corneal flap. After having PRK, it usually takes several days for the surface of the cornea (the epithelium) to begin to heal. It takes much longer for the eye to completely heal, so you will need to apply eye drops for the first 6-12 weeks. Some people continue this course for up to six months after surgery. Generally speaking, the more laser correction needed, the longer the healing time. The success rate of PRK is much the same as with LASIK. However, PRK patients take more time to heal and it’s therefore longer before they achieve their best vision. Overall though, comparing PRK and LASIK patients will show equivalent results after six months. As with any laser eye surgery, you must be willing to accept that there are some risks. These include post-operative glare, seeing halos, and possible infection of the cornea (although this is rare). There is also a limited chance that you will need to have an enhancement procedure if the original surgery was not totally effective.